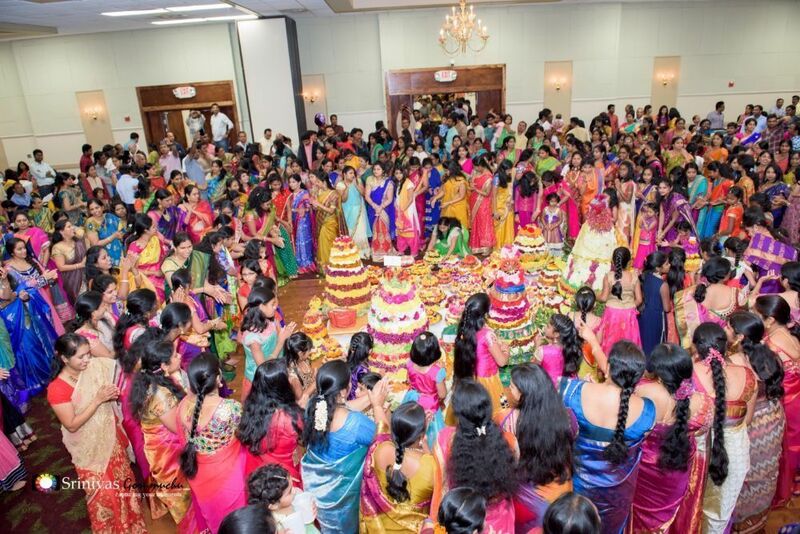 Detroit Telugu Community and NRI Telangana Jagruthi together celebrated Bathukamma festival on a grand scale in Farmington hills, Detroit on 8th October. 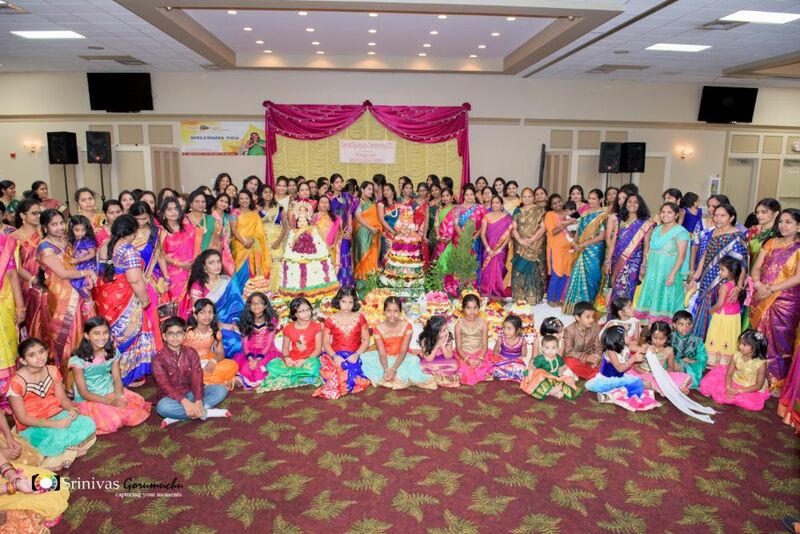 Around 2000 NRIs from around Detroit, Flint, Jackson, Canada and other parts of the country attended the event which showcased the traditions of Telangana. Women and children dressed colourfully and brought huge Bathukammas to the venue and joined hands to sing and dance during the celebrations. Singer Adarshi lent her voice and sang songs related to the flower festival. The event started with the welcome speech by DTC President Bhujanga Rao. Chairman Rajgopal explained about various DTC programmes. Later Telangana Jagruthi NRI President Sridhar Bandaru, Coordinator Murali Bommaneni spoke about the organisation's spread in US. The celebrations which lasted for around five hours saw the spectacular dance performances from kids, women and professionals. Bhujangarao thanked Sailandra, Hari, Raju, Raja Mamidisetty, Krishna, Hari, Nagendar, Bharath and other volunteers for making the event a grand success.